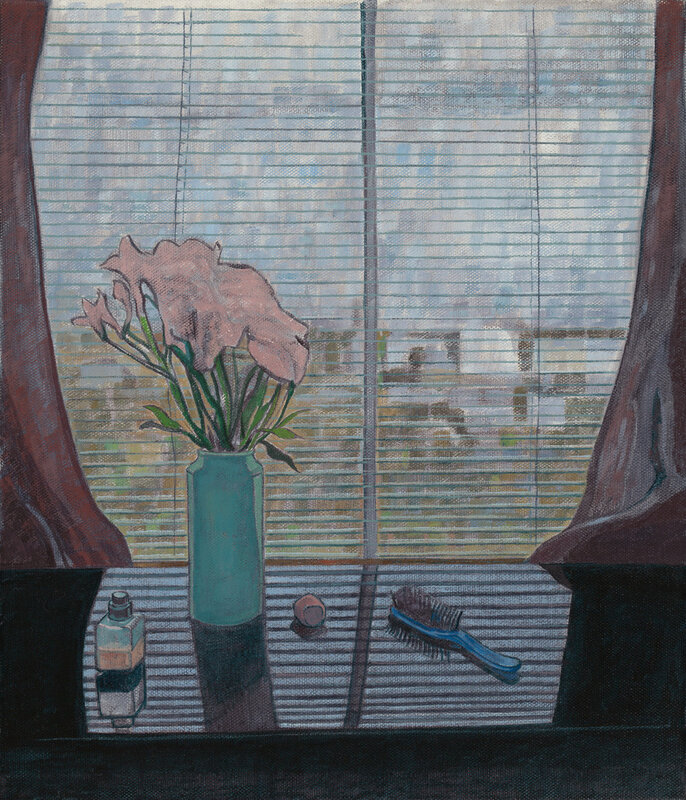 Jesse Dayan is a Melbourne based artist he has been a finalist in several major Australian art awards including, The Arthur Guy Memorial Art Prize, The National Works on Paper Award; The Heysen and The Ron Eutick Still Life Awards. He has previously been shortlisted for the Brett Whiteley Travelling Art Scholarship and the Australia Council – Kunstlerhaus Bethanien Residency. In 2013 he was invited to contribute to the Chris Kraus Symposium : Aliens and Anorexia at the Royal College of Arts London. Working from his Melbourne studio Jesse Dayan’s practice is informed by continuous research and engagement with many traditions of image making and a keen interest in the narrative possibilities of painting. His recent body of work takes as a starting point the familiar interiors of everyday life. These works are built upon a process of drawing from life which allows for the inclusion of a composite of impressions over time and an openness to the poetic possibilities of space. Important to these works in both a psychological and spatial sense is the interplay of internal and external spaces. The paintings in this group are bound by a sense of longing marked by the entanglement of presence and absence.